You are at:Home»Herbs»Bambusa arundinacea Willd. Latin name : Bambusa arundinacea Willd. Description : The manna (a siliceous crystalline secretion found in the culms of the female plants) is antispasmodic, aphrodisiac, astringent, cardiac tonic, carminative, cooling, demulcent, diuretic, emmenagogue, expectorant, febrifuge, haemostatic, liver tonic, pectoral, refrigerant, rejuvenative, stimulant and tonic.The great interest of Tabashir in phytotherapy is due to its silica content (97%). Silica is one of the most important components of the connective tissue: cartilage, articulation tendons, and some elements of the arterial walls, skin, hair and nails. 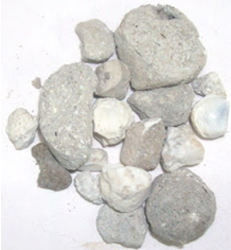 Besides silica, Tabashir contains iron, calcium, choline and betaine. It is useful in paralytic complaints, asthma, phthisis, cough and other debilitating diseases. It also has a gentle action on the urinary tissue and is, therefore, used as a diuretic. Recommended Dosage : 1 to 3 g.
Contraindication: The manna has no known warnings or contraindications.